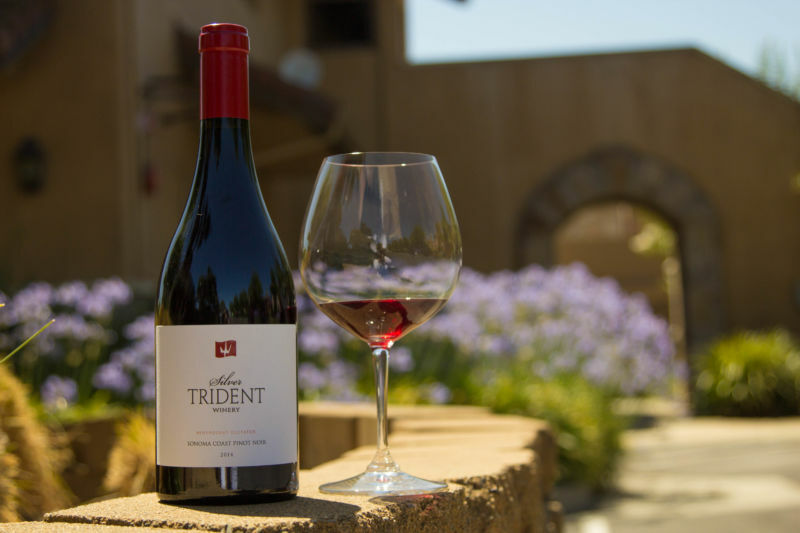 Recently, The Brit and I were invited to Silver Trident Winery for their Pig and Pinot release party; which was our introduction to this winery. We liked what we saw, but we didn’t get the opportunity to get a feel for the tasting experience. I went back a week later to experience the tasting room when it isn’t in party mode. 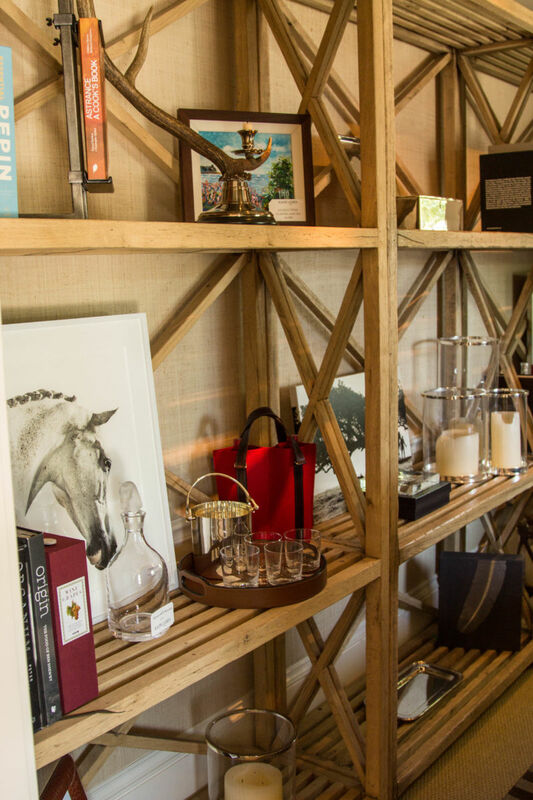 If you didn’t read our last post about Silver Trident Winery, I was very impressed by the Ralph Lauren decor. I wanted to go home and throw out all of my furniture and start over with the items I saw there. It was elegant, yet comfortable and I just loved it. Hmm, I wonder if The Brit would notice all new decor and furnishings in our house? The tasting fee is $25 for four tastes of wine and paired bites of food. No reservations are required for parties under six, but it is a good idea to book anyway. 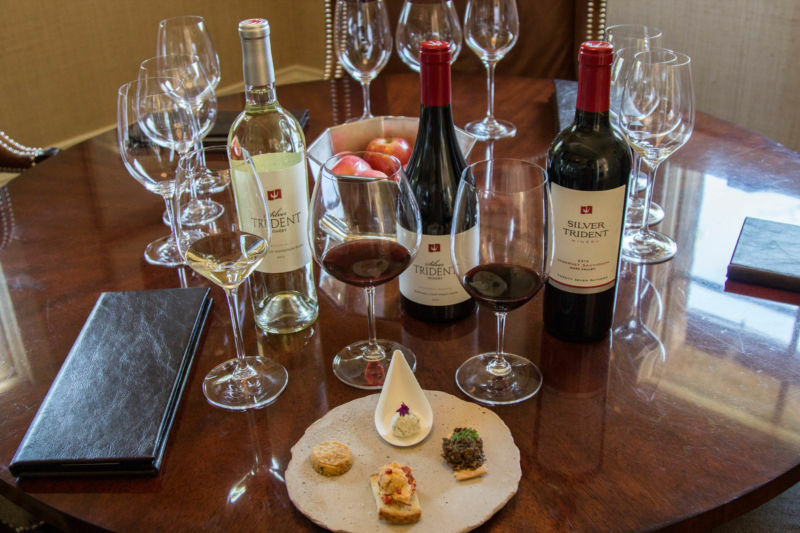 The paired bites are prepared by a well known Napa Valley chef, Sarah Scott. I thought that added a little extra special touch to the tasting experience. 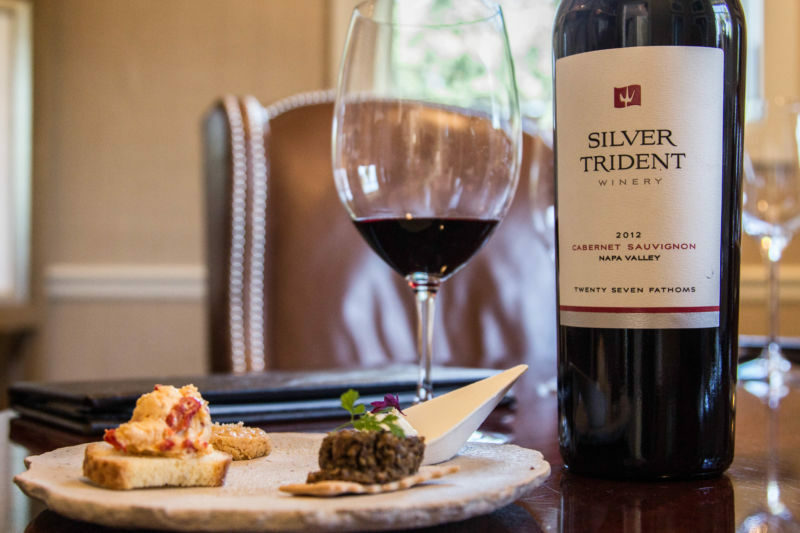 Silver Trident is not alone in offering food pairings, but they are unusual in doing so at this price point. I had the opportunity to briefly meet with the winemaker Kari Auringer at the Pig and Pinot party. She was very sweet and down to earth; you could tell she is passionate about the wine she makes. She has worked in the wine industry for many years at several boutique winemakers. It was clear from talking with her and from tasting the wine that she really knows her stuff. Her style leans towards European and low alcohol wines. I was sorry that I didn’t have more of an opportunity to interview her. I sat down on the big comfy sofa and looked at the lovely bites before me. I felt was if I was at a friend’s home enjoying a glass of wine and nibbles. My hostess sat with me and talked me through each wine and bite as if we were old friends. It was comfortable and relaxing. The items of food were extremely interesting and varied. I had a lemon cheese bite, a duxdelle mushroom bite, a pimento cheese bite (not to be mistaken with the 1970’s nasty stuff your granny used to serve) and a savory cheese shortbread cookie bite; each paired with my wines. Every single item was wonderful. We started off with the 2015 Symphony No 9 Sauvignon Blanc ($28) which a mix of two Sauvignon Blanc clones. It is fermented in 70% steel and 30% French oak; giving it just enough oak taste for flavor, without a mouth full of wood. It was fruity, clean with a creamy finish. I would describe it as leaning towards French style Sancerre but not as much as the 2014 vintage that I had tasted at the party. 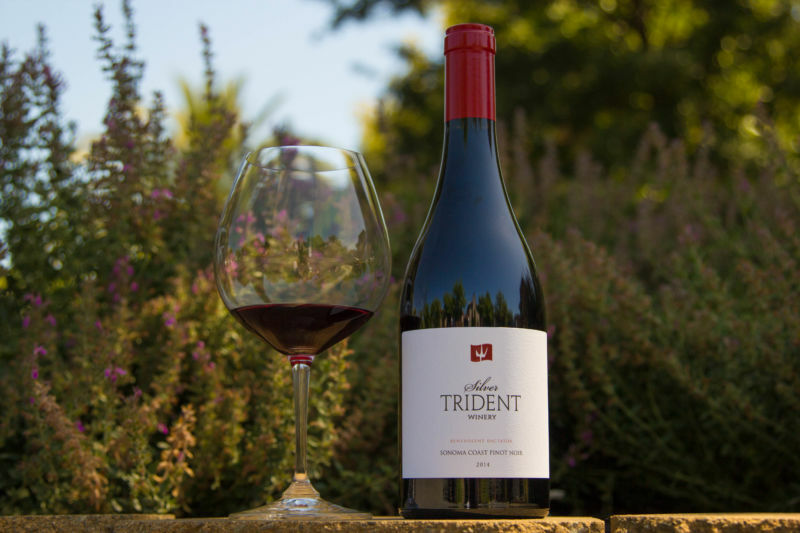 The 2013 Benevolent Dictator Pinot Noir ($55.00) spends eighteen months in French oak barrels. It has maple and soft fruits on the nose, smooth ripe plums on the palate, and a long lush finish; I loved this wine. For me, this wine was a really great all around type of sip. It would go beautifully with just about any food (or no food at all) and any occasion. It is both approachable and easy to drink. 2012 Playing With Fire Napa Valley Red Blend ($45.00) is a 40% Cabernet Sauvignon 40% Malbec and 20% Syrah. Flavors of licorice and ripe summer berries filled my glass with this one. I liked this sip, but not as much as I enjoyed the Pinot Noir. 2012 Twenty-Seven Fathoms Napa Valley Cabernet Sauvignon ($85.00) is their most European style wine in my opinion. For my palate it needs a bit more age to really come into its own, but it’s all there; rich fruits and lush baking spices. This will soften and become a really memorable sip. I’d love to taste it in five years. 2015 Apollo’s Folly ($32.00) their rosé is just lovely. Soft fruits and loads of character, without being sweet. It’s the perfect summer wine. I would pair this one with goats cheese appetizers or shell fish. Just thinking about it is making my mouth water as I write this. With all of this great wine and hospitality I had to wonder what their membership was like. Their wine club is called the Flagship Club. They have two levels of membership; either purchase four or twelve bottles bottles in each of their three shipments per year. You commit to either one case or three cases of wine per year. To their members they offer free tastings, discounts on hotel stays, limo rides in the valley, merchandise that they sell, fun parties, and other cool stuff. You can read more about their membership here. 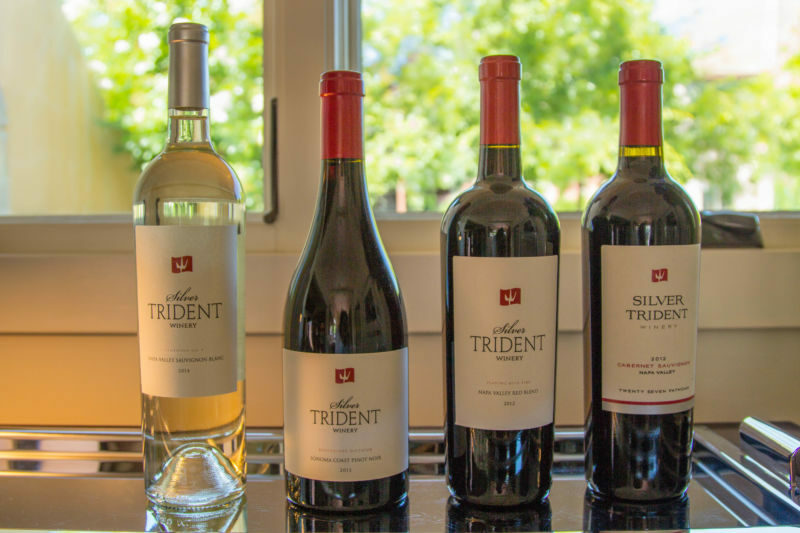 Silver Trident is a young winery, but they are growing quickly. 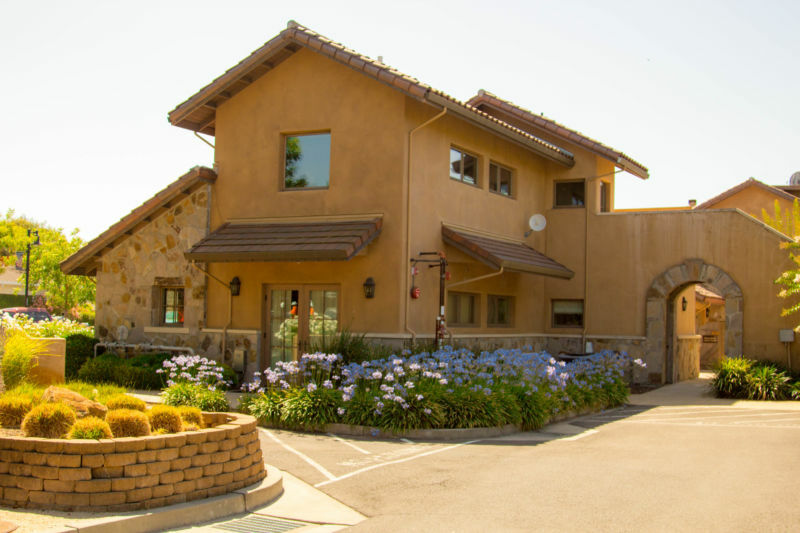 Their Yountville tasting room only opened in March 2015 and they already have a huge following. 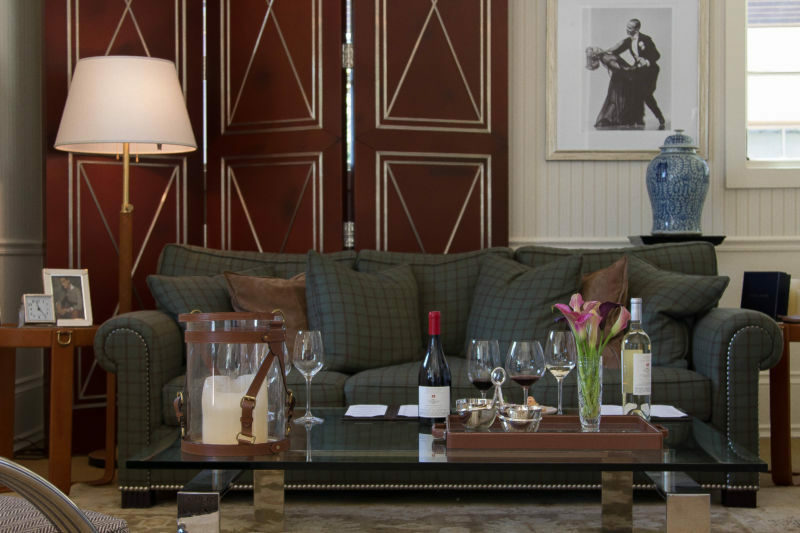 It is no wonder given the beautiful decor, gracious hospitality, and wonderful wines. I know I am a fan. The Brit and I will definitely be back.